Are you looking for something really original to serve your guests for dessert after your big Easter dinner? Then let me recommend a Colomba Easter Cake from Nudo! Found on every Italian table at Easter, Colomba cake is to Easter what panettone is to Christmas, and as Nudo is dedicated to preserving and sharing the wonderful food traditions of Italy, they’re thrilled to introduce you to their Colomba, with beautiful new packaging, this spring. 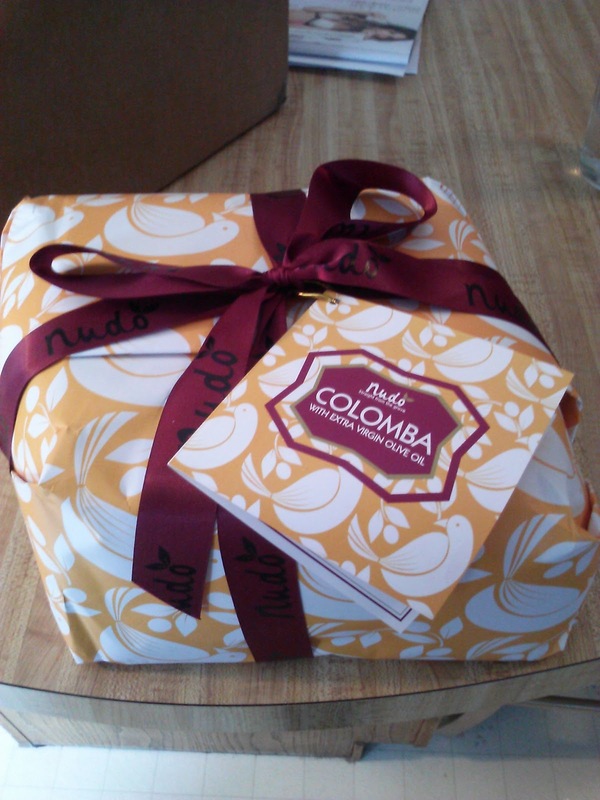 Nudo’s fragrant Colomba is flavored with amaretto, studded with candied orange peel, and topped with sugar and almonds and shaped like a dove (la colomba means dove in Italian) to symbolize peace and renewal for spring. The cakes are handmade according to a century-old recipe with Nudo’s first cold press EVOO, flour, eggs, sugar, and natural yeast. 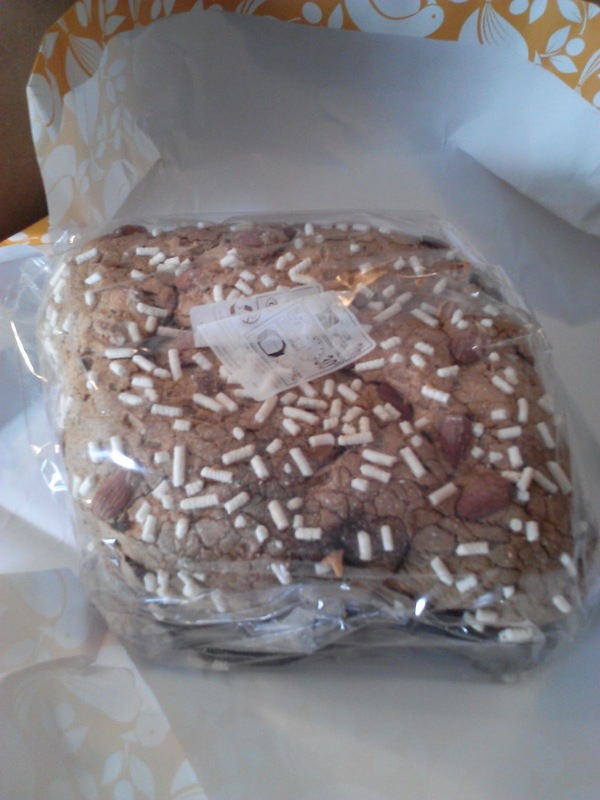 Accompanied by an espresso, a Colomba shared among friends is the perfect way to end the Easter meal, just as the Italians have done for generations. As they say in Italy, Natale con i tuoi, Pasqa con chi vuoi (“Christmas with family, Easter with friends”). Snr Scarpato baked his first cakes in 1888, in a village called Legnano outside Verona. More than a century later, his same method is still used to hand bake these wonderful Easter cakes called 'Colomba Pasqualina'. It is a mix between a soft bread and a cake if I had to describe it. It isn't overly sweet, but not dry or tasteless either - just the perfect mix! It tastes great with a glass of Prosecco, Vin Santo or hot chocolate and tastes great any time of day! Nudo’s limited edition Colomba is the perfect addition to any Easter table, as well as the most delicious gift for a host or hostess. Once you try Nudo’s light, fluffy Colomba Easter Cake made with their extra virgin olive oil, you’ll forget those chocolate bunnies and stale marshmallow chicks! Buy It: You can purchase the Colomba Easter Cake for $25 from Nudo's website.